Today, I bought some Micron pens for half the regular price. 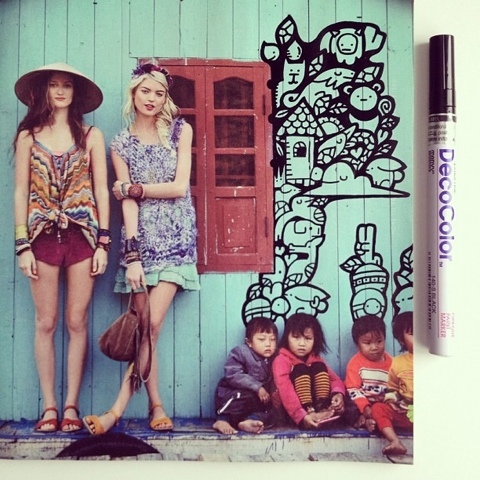 I love micron pens, and use them in my sketch book the most. 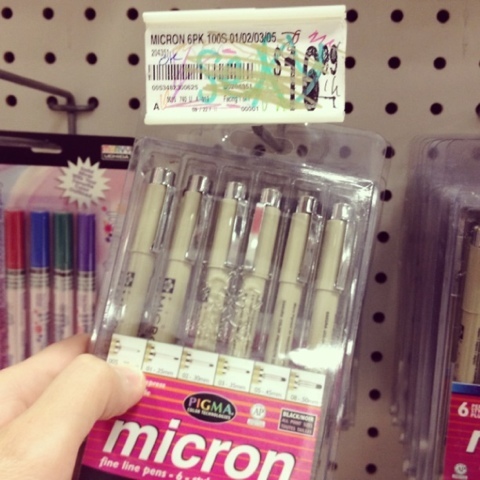 But Micron pens cost around $3 each, and to me that’s a lot. 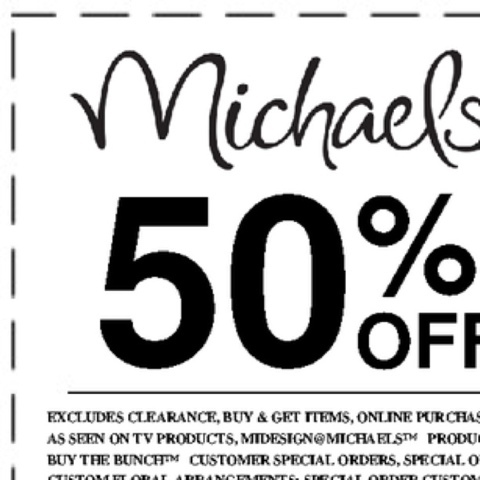 So whenever Michaels has a 50% off 1 regular priced item, I go get a 6 pack. 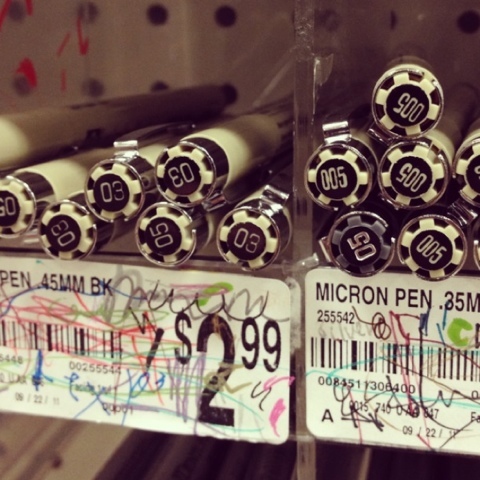 With the discount, each pen is around $1.50…half the regular price! I might not need new Micron pens at the moment, but since the 50% coupon doesn’t come out every week I have to take advantage and stock up. 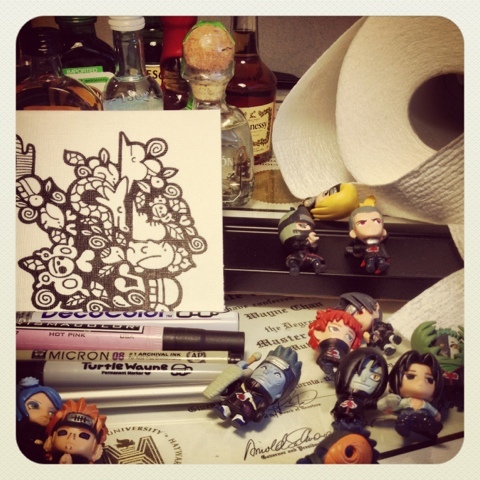 Eventually, I’ll need fresh Micron pens. And getting the pens for half price is awesome. You can do the same with any art supply you regularly use yo! 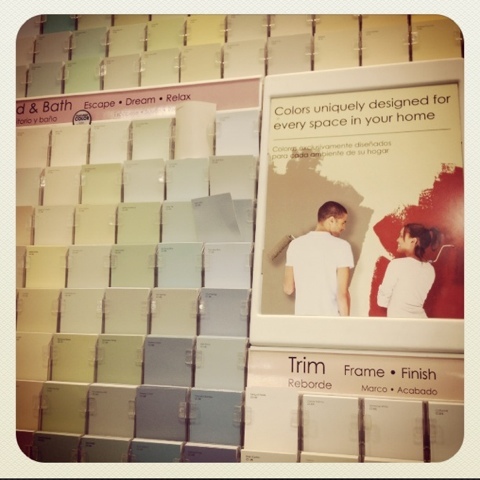 If you don’t mind the tiny words printed on them, paint swatches at any home improvement store are great to draw on! 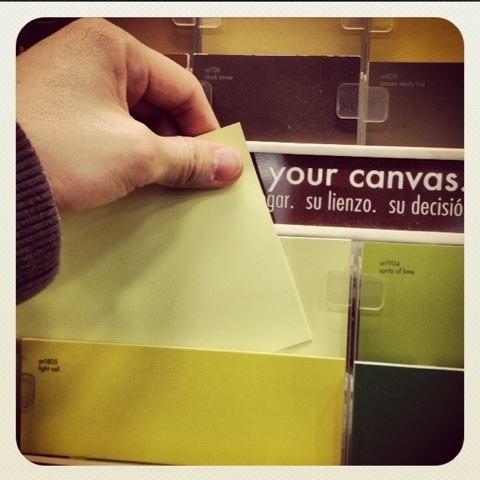 I gravitate towards the lighter colored swatches, but I don’t discriminate by size. I grabbed some small ones, ones with rounded corners, even ones with square holes in them. 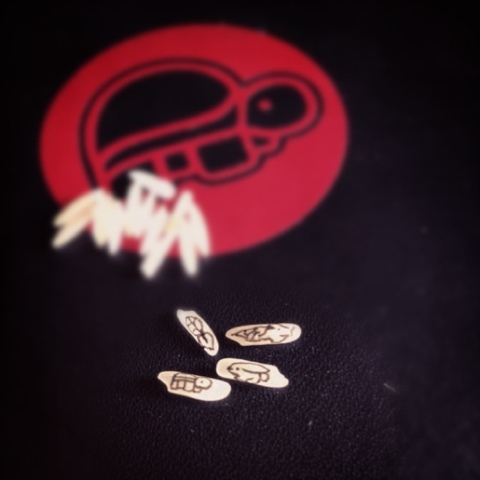 Today, I drew on grains of rice. The challenge is not just in the tiny size to draw on, but also in getting over the fact that one might be wasting their time drawing on rice. 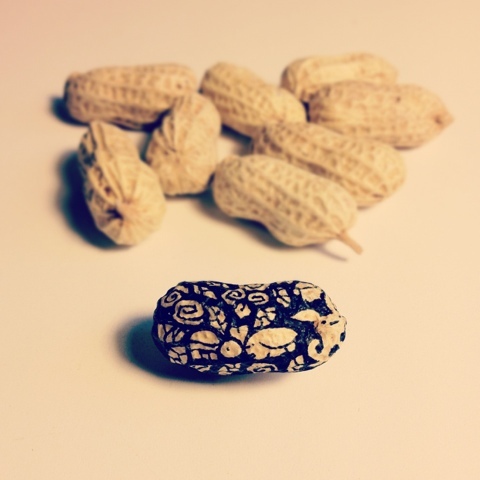 I was interested in the challenge ever since someone suggested I draw on rice after they saw me draw on a peanut. 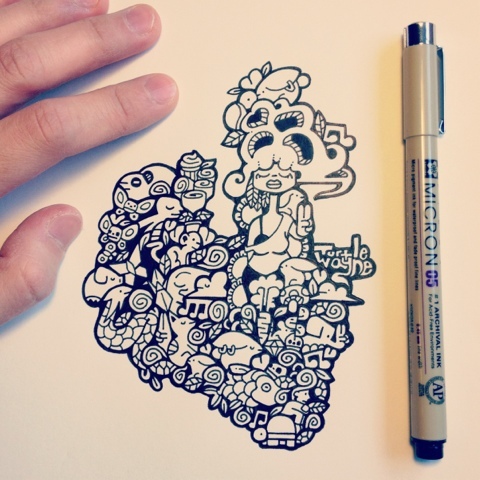 How small can you draw? 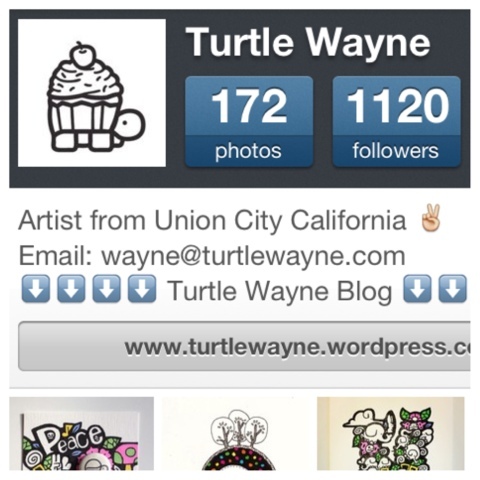 This past week, I reached 1000 followers on Instagram! Which was one of my silly personal goals I set for myself this year. 1. Like, Comment, and Follow the people that use the same #tags as you do. 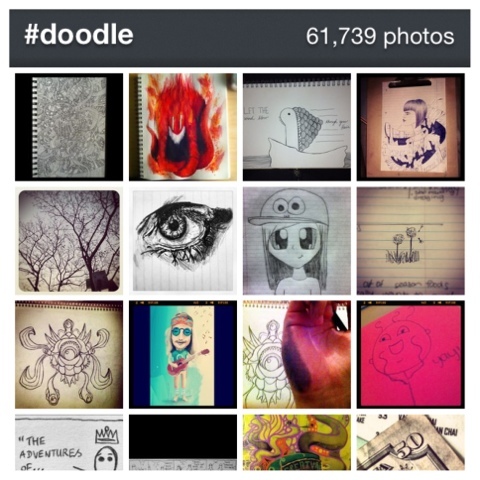 My favorite tag is #doodle and have met lots of dope doodlers from exploring the #doodle folder. Doing this can take some time, but if you enjoy your tag you tagged your photo with…it’s fun and you’ll find good people to follow and follow you. 2. Create A Contest. 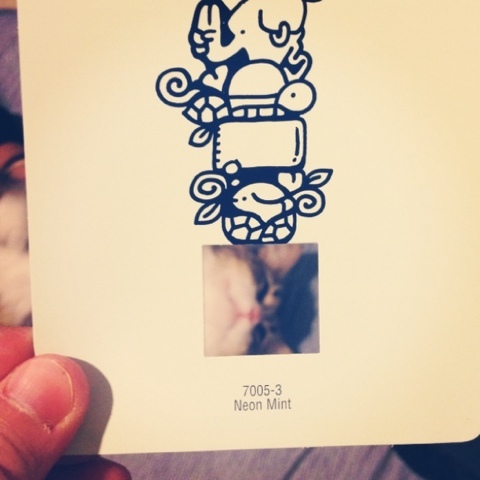 Have a good prize or prizes related to what you post, and your current followers will help you spread your photos. Which in turn gets you more followers and people to follow. 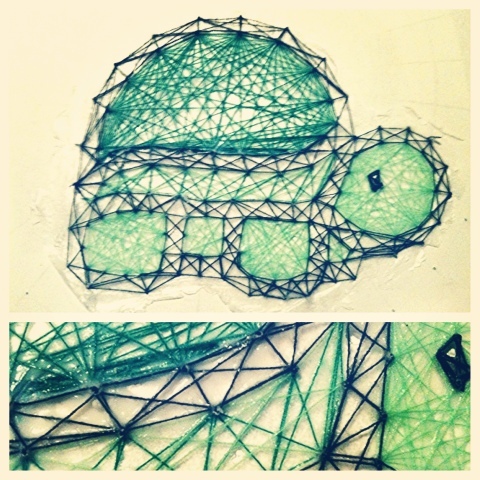 Having turtle followers that like, comment, and share my art is awesome. The positivity of all the people for my art has kept me going and drawing. Thanks! What do you do to get more followers? – Can freestyle rap/rhyme…in the car…by himself. What is one fact about you? I almost always have a pen with me. 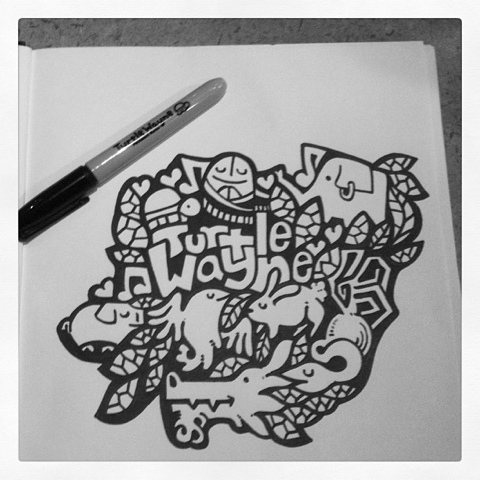 And often enough it’s a Turtle Wayne permanent marker…which is just my logo printed onto a blank sharpie. 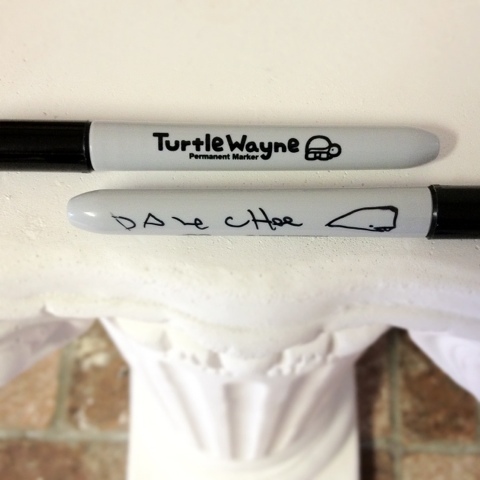 I got them made by Branders.com because I figured since I would use sharpies my whole life…they might as well be Turtle Wayne ones. Being an artist, having my own pen is cool. It’s even cooler when the richest living artist of our time, Dave Choe, signs the pen. 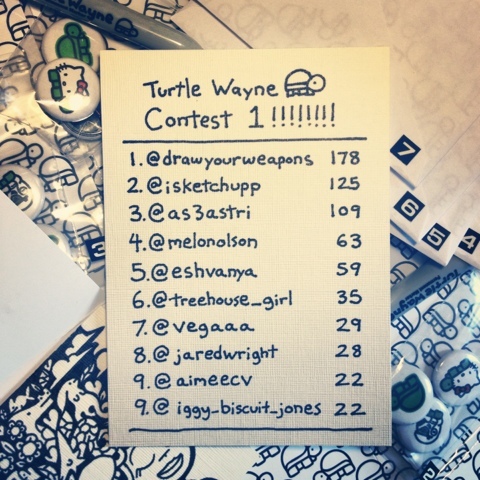 Not only do I have to throw away the contaminated pen, but now when the victim…let’s call him “Fun Hole”…eventually sees photos of his body and face getting defaced…he might wonder…who is Turtle Wayne? 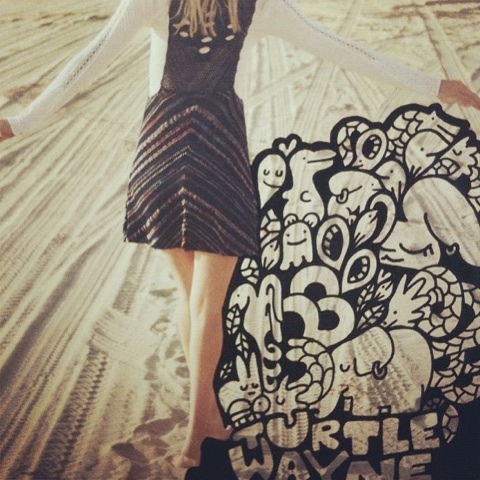 And why did this Turtle Wayne let this happen to me!? 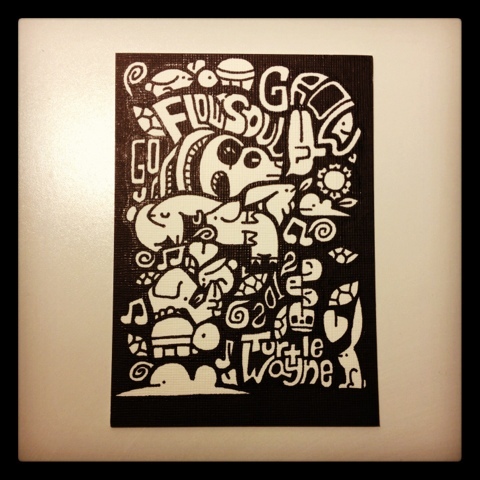 Fun Hole…if you happen to see that a Turtle Wayne pen was used on you at the party…and you googled “Turtle Wayne”…and you found my site and this blog…and reading this. Well, sorry man…I didn’t know…and when I did…um…I was outnumbered…and um…I was laughing too hard. Please don’t kill me. Today, I ran out of good paper (Strathmore’s linen canvas). 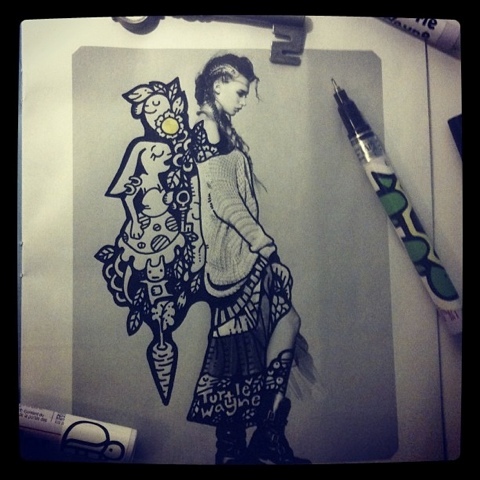 Fortunately, the art gods smile upon me and so do the nice people at freepeople.com. Ever since I bought something from them online two Christmases ago…they send me their catalogs about every other month. 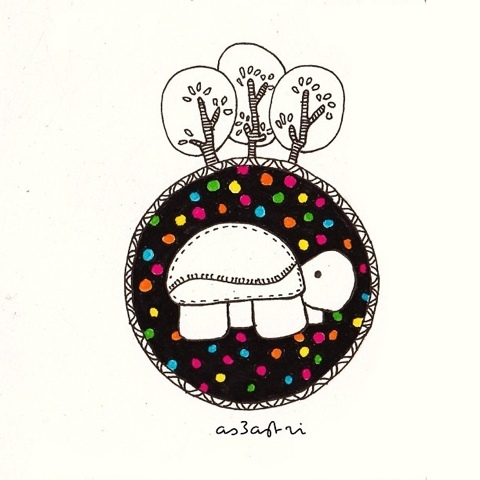 What FREE stuff do you draw on? 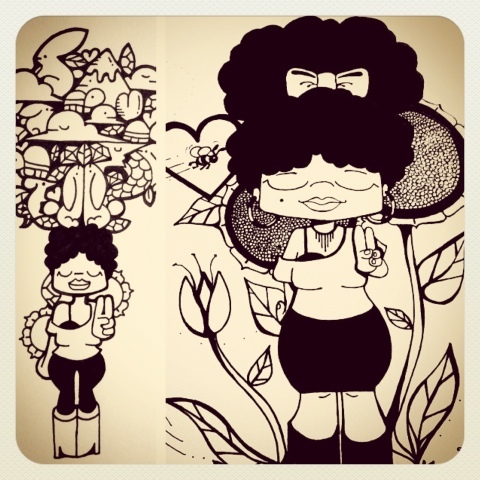 Recently, I came across the drawings of Stephan Brushe (@isteef) on Instagram. 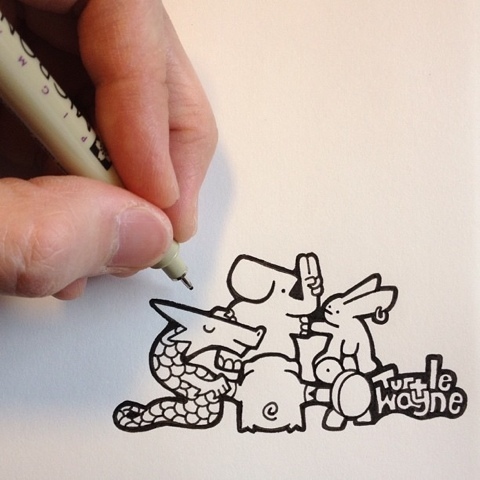 Brushe likes to draw bunnies, gnomes, skulls, and trees. 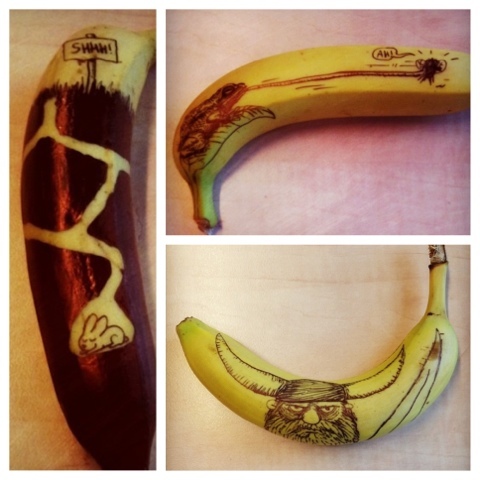 And he sometimes draws on BANANAS! 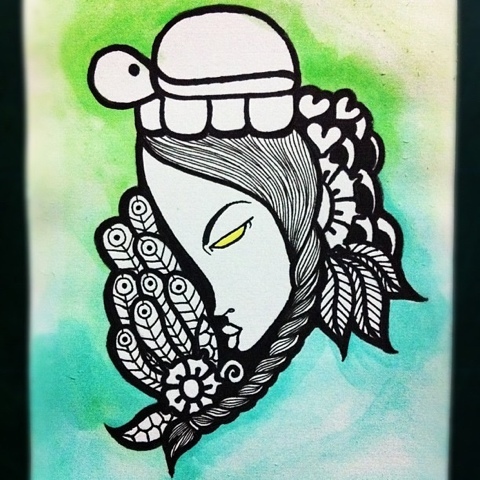 I like the idea of drawing on bananas so I drew on one too with my decocolor paint markers. 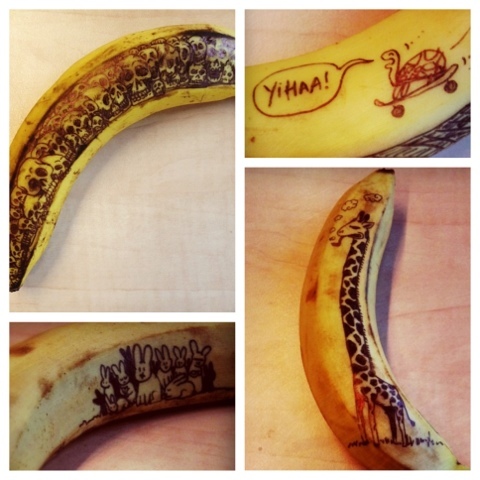 The surface of the banana is so easy to doodle on with paint markers. 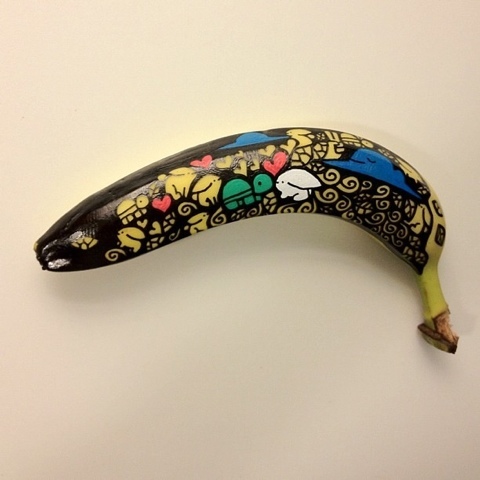 Brushe tells me he eats his painted bananas, but I decided not to eat mine…haha. What fruit should I try to doodle on next?